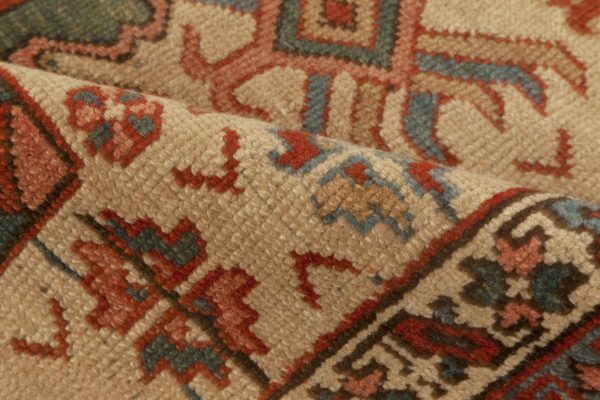 Thanks to their durability and geometric elegance enhanced by patina and rich colors, Persian Heriz rugs and Bakshaish rugs continue to attract new generations of consumers and collectors around the world. In contrast to the majority of Persian rugs, creations from Heriz have a bit coarser texture and suppler weave which goes together well with large medallion designs. 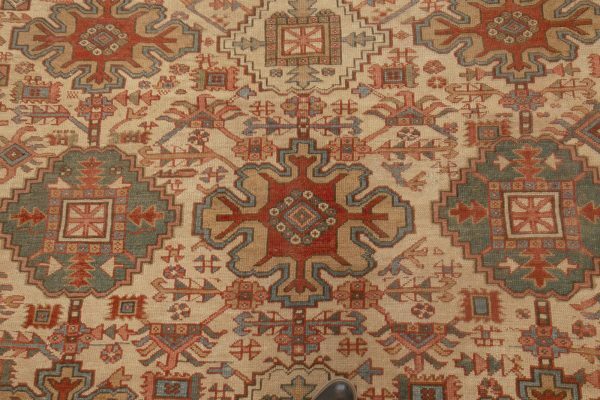 It’s all part of their raw, exotic charm. 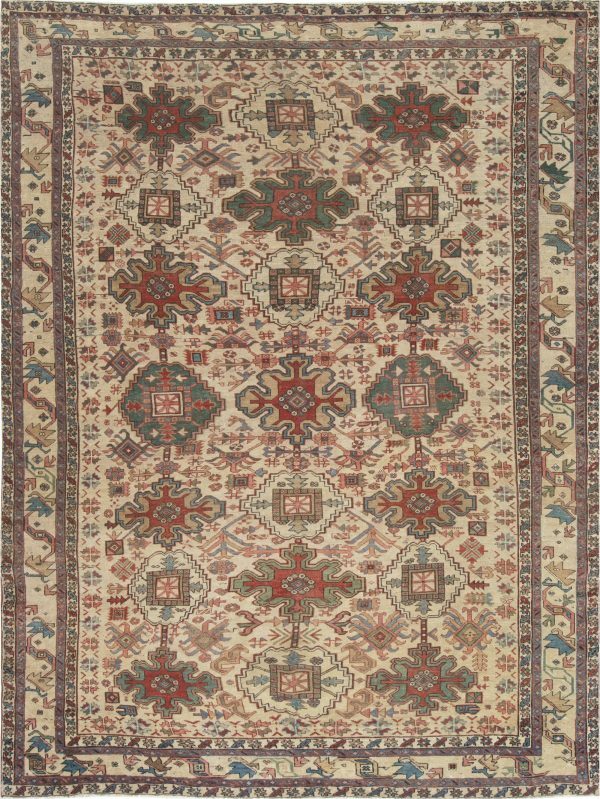 This antique Persian Heriz rug beautifully captures the essence of its mother-town craftsmanship. 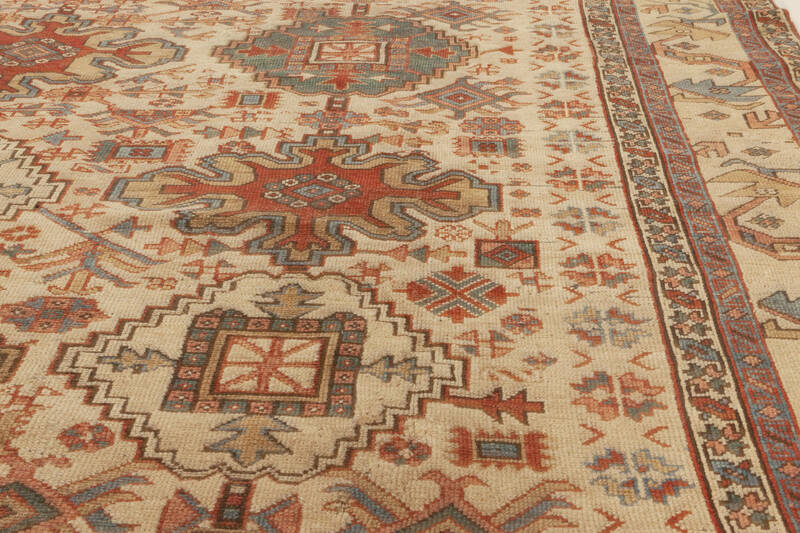 Its main field, filled with traditional kilim motifs, carries an allover medallion grid. 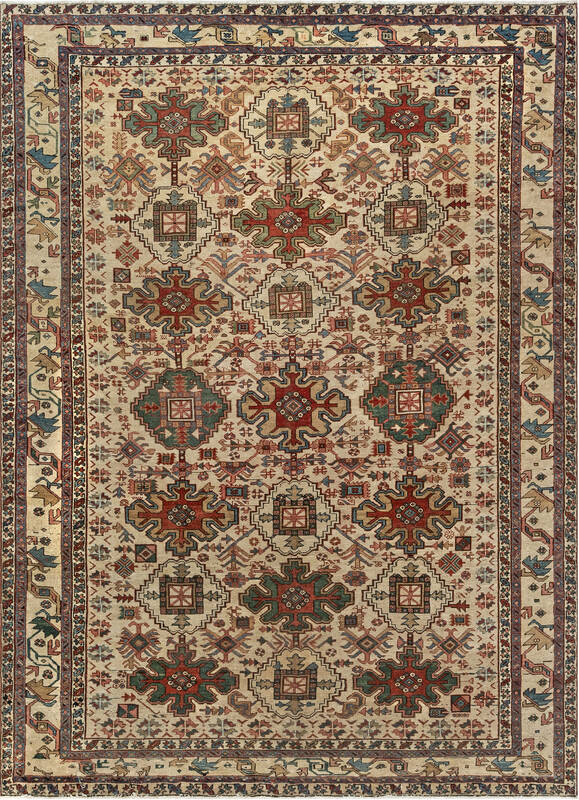 It is embraced by a multiple border where flowering climbers are the main theme. 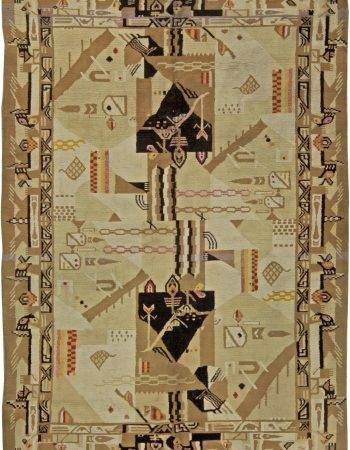 The pattern is dense yet not very intricate, somewhere in between tribal and urban aesthetics. 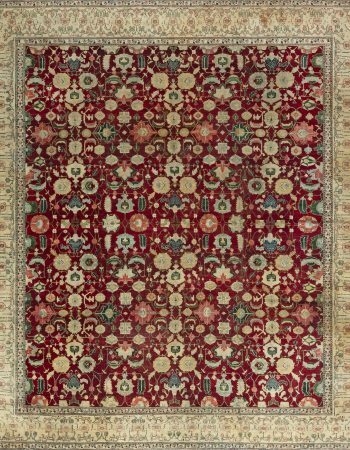 As befits a Heriz rug, the palette consists of many contrasting colors, including red, blue, green, pink and beige, which are muted for proper balance. 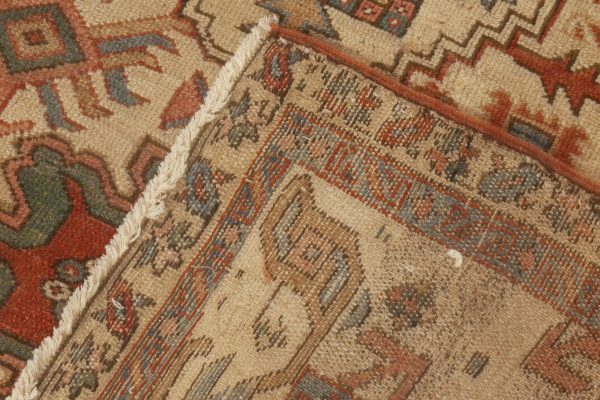 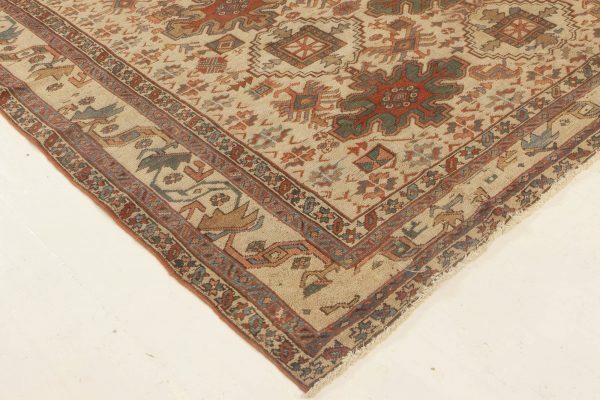 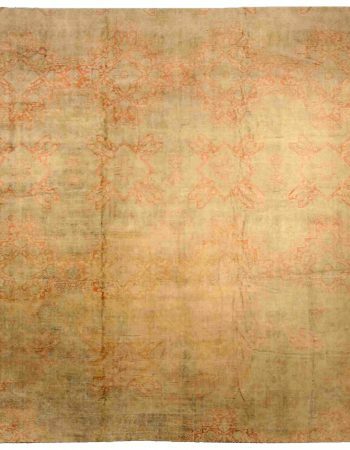 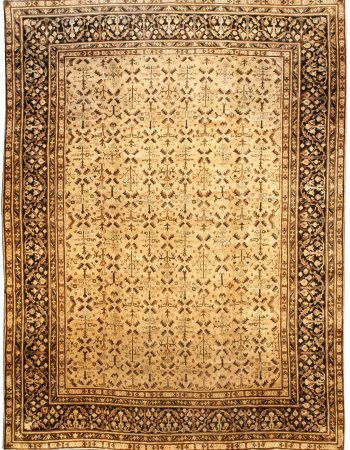 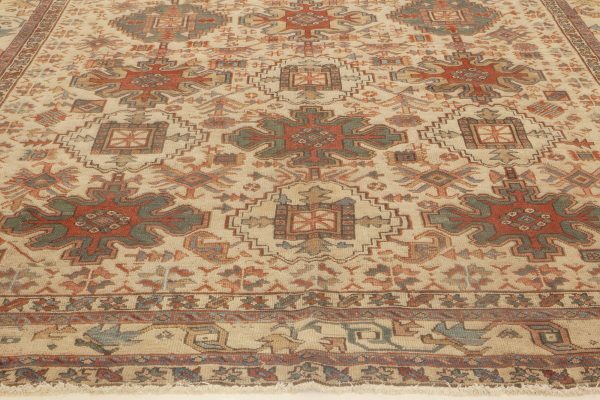 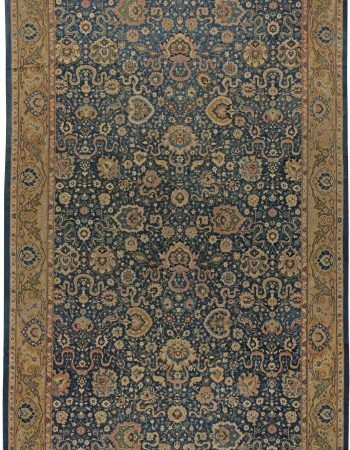 Although made over one hundred years ago, this exceptional antique rug looks like it was just taken down from the looms. This is due to thorough hand-weaving of the finest wool in accordance with centuries-old techniques. Under proper maintenance, the Heriz rug has a chance to serve its owners for generations without any signs of wear.